How to Make a Portable Generator Quieter for Camping - 10 Best Ways! Blog How to Make a Portable Generator Quieter for Camping - 10 Best Ways! How to Make a Portable Generator Quieter for Camping – 10 Best Ways! We all know how important having a generator is these days with the sudden increase of severe weather. In my area their calling for a significant amount of freezing rain overnight and there is a strong possibility of a power outage coming our way. 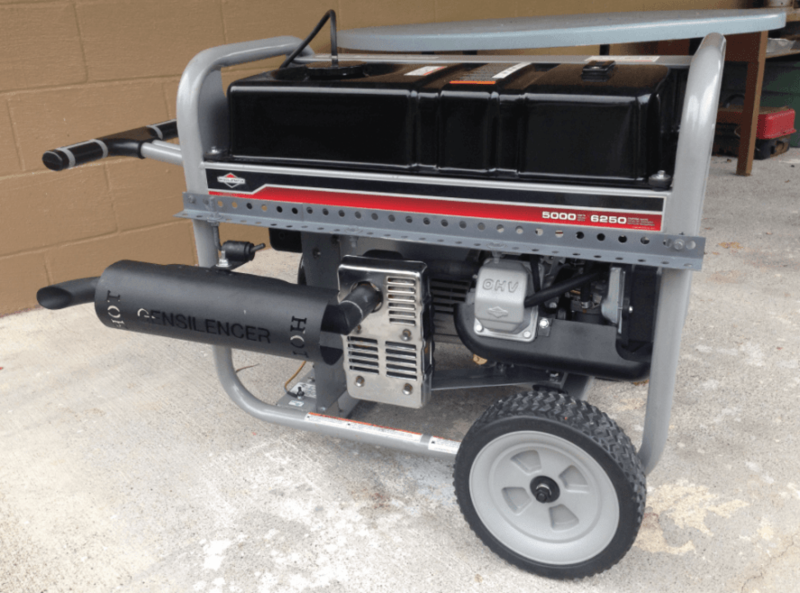 Having a generator is essential for some people, especially if they have children. The biggest problem most generators have however is the high amounts of noise they emit. In this article, I will explain different ways for how to make a generator quiet for camping and home use. How to make a generator quieter for camping? The best way to make a generator quieter for camping and at home during a power outage is to build a quiet generator box. You can learn how to build your very own DIY generator quiet enclosure by clicking on the link. Of course, there are other ways to help make a generator quieter, so you’re not disturbing everyone around. There are also different types of generators that I will talk about and how to make a traditional and an inverter generator quieter. I do not use a generator while camping. Our family still sleeps in tents while camping because we usually go to places a trailer could not follow. I do however have a generator to power some parts of my home during a power outage, and I did feel bad for my neighbors in the past when I had a rather loud generator. The only thing that made my situation bearable is that almost everyone around us had a generator. At least I didn’t feel like I was the only one causing all the racket! Now we have a natural gas standby generator that is super quiet, mostly because of the rugged enclosure it sits in all year. I will share with you some tips on how to make your generator quiet as a cricket! 3. Does a Car Muffler on a Generator Work? YES and NO! The reason why small engines like on generators or air compressors are much louder than a big motor used automobiles is simple. An automotive engine is made of a thick and heavy material pressurized high volume oil system. They are liquid cooled, so the engine does not overheat. Small engines, on the other hand, are made from a lightweight thinner material that is splash oiled and air cooled. The small engine companies could build much quieter engines, but they would have to make them thick and heavy. I’m not sure how many people would want to be pushing around an 800-pound lawnmower or lugging around a generator with that amount of weight. Here I have compiled 10 of the best tips I could think of to make a generator quiet for camping and home. As I mentioned above, building a quiet generator box is one of the best ways to help make your generator quieter. What is also standard with having a quiet enclosure for a generator is that you can also use it to make an air compressor quieter as well since we all know how loud an average air compressor can be; so make sure to make the sound box big enough to be able to accommodate other loud appliances. Building your very own generator quiet box can be simple if you follow the guide by clicking the link. Here are the steps you will have to follow to build a noise isolation box. First, you will need to make all the proper measurements. You certainly do not want any air gaps letting noise out of the enclosure. Leaving even a tiny hole will defeat the purpose of the sound box entirely. Make sure to leave just enough space for the sound insulation that you will install inside all four walls and ceiling of the box. You will also need to leave enough space for the ventilation equipment. Cut out the MDX (Medium Density Fiberboard Amazon Link) as per your dimensions utilizing a circular or table saw. It could be helpful to label the sides and ceiling pieces with a pencil, so there’s no confusion later. Make sure you buy enough MDX or soundboard, this will prevent you from having to make a second online order or having to go back to the hardware store to get more material. Attach the first layer of soundproofing using Green Glue Noise-Proofing Compound. The first later will be Mass Loaded Vynil (MLV). There is also a second layer of soundproofing material to attach inside the enclosure. All the information to complete the build of the sound box can be found by clicking the link above (quiet generator box). ZombieBox is a soundproof enclosure that is weatherproof and portable. A ZombieBox will make your generator much quieter when using your generator while on a camping trip. What is also nice about this box is that’s its collapsable for easy storage. The Zombie Box will reduce the noise from your generator by up to 5X or 99% as claimed on their website. I have never had a ZombieBox, but I am planning to get one someday soon. Keep checking our YouTube Channel for a full review when it becomes available. I see so many Soundproofing websites that claim that an automobile muffle (Amazon Link) will act as a magical silencer for your generator. Well, guess what? They don’t always do the trick, and the people claiming otherwise have apparently never tried it themselves, and are most likely copying that answer from each other. At first, I thought there might be some validity to this claim. A lot of people were suggesting that a car muffler could be attached on a generator to make it quiet. So I did a bit of digging and here is what I found. I first went and talked to one of my friend that is currently working on automotive exhaust systems for the past 27 years. He has also done some small engine repair on many generators. I figured he would be the best person that I know to ask these types of questions. I asked him if a car muffler on a generator can work as a silencer to make the generator quieter. He responded that generally most of the noise you will hear from a generator is from the motor and various rotating parts. He said that all you need to do before wasting your time going to the scrap yard and attaching a second muffler on the generator is first to put on a thick leather glove, so you don’t burn yourself. Grab an old rag and hold it over the muffler outlet on the generator. Wait a few seconds and see if you hear any difference in noise. There probably won’t be a bit of difference regarding noise unless the muffler is toast and not actually working the way it is supposed to. He ended the conversation by advising me to build or buy an enclosure for the generator like I previously mentioned above. He just told me to tell people to make sure they have enough airflow, so the generator does not overheat. That was his opinion but let us say you do hear a difference in the amount of noise the generator makes when you’re holding the rag on the end of the muffler. Now its time to try a car muffler. The worst thing that could happen is that it doesn’t make enough of a difference and you return the automotive muffler and call it a day! 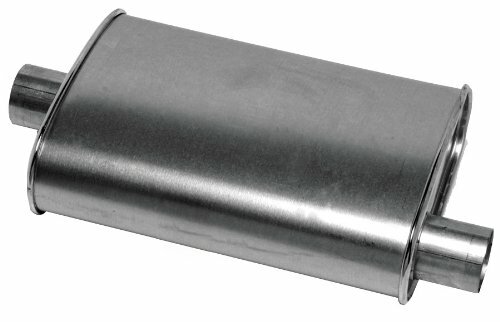 Make sure you measure the mufflers exhaust tip so the vehicle muffler fits without leaving any gaps. If there are gaps where noise can leak out, it will make the new muffler useless. Attaching a bigger muffler is not that difficult. All you need is a few tools, clamps and exhaust flex tubing. Of course, welding the correct pipping that initially came with the muffler would work better. But you shouldn’t have any problems if you can make the connection between the two mufflers tight enough, so there are no gaps. One of the fastest and cheapest ways to decrease your generator’s decibel levels is by shielding the noise using sheets of plywood. By setting sheets of plywood around the generator, you can reduce the noise level by at least 10 decibels. Being able to decrease the noise of the generator by 10 decibels will make it much more tolerable in a neighborhood environment. To be able to accomplish this task you will need a few sheets of plywood. Even plywood scraps that are large enough to extend past the generator would work! You will then lay them against the generator in the shape of an enclosure box. This makeshift plywood enclosure the shape of an A-frame will deflect the generator’s noise towards the ground. This provides for the noise to be held and absorbed into the ground rather than toward your surroundings. If it proves too challenging to move the generator father away from your house, there are still ways to keep some of the noise levels down. One easy trick is to have the exhaust pipe which in some cases can be the principal cause of the noise, facing away from your house. As you can probably picture in your mind, sound waves created from noise will travel towards the direction it’s facing. Making the sound waves travel away from your house can make a significant difference when comparing having the exhaust pointing directly toward your home. We all know that the farther you are from the source of noise the less you will hear it; So use the same common sense approach with a noisy generator. Distancing yourself from the generator is easier if you live in a rural area. The homes are not as close to one another as they are in an urban subdivision. A common generator will produce between 70 and 80 decibels at 20 feet away. 80 Decibels is certainly loud enough for you to hear the noise quite well. By using a long extension cord, you will be able to move the generator farther away from your house. Better yet, If you have a detached garage, or a storage shed you could move the generator and place it behind one of these buildings. If your extension cord is long enough to do this, you should be very satisfied with the results! Again, if you have a long enough extension cord or if the storage shed is close enough from your home you could place it in there. There are two things you will need to consider when doing this, the echo and the fumes. The echo; If you place the generator in a relatively empty shed there would be a significant amount of echo caused by the sound waves bouncing around on the empty walls inside. One trick to avoid echo is to place some acoustic panels on the walls and ceiling inside the shed. This way the noise won’t echo, and it’s an inexpensive way to make use of an oversized sound box. Heat; I for one never really concern myself with an overheating generator since I live on the very eastern edge of Canada and it is usually well below freezing when the power goes out due to a snow or ice storm. If you concern yourself with overheating you could easily place a fan inside the shed to keep the generator cool. You can find battery powered fans online at reasonable prices. Fumes; My small storage shed has two small round vents on each end of the building. The vents are approximately six inches in diameter and I would think this would be enough to take care of any fume issue from the generator. If you don’t have any ventilation, you can attach a muffle type hose on the end of the existing muffler and have it come out of the barn either from a small opening of the door or better yet, a hole in the wall specifically made for this pipe. You can always seal the hole with a thick piece of rubber and reuse the hole whenever you need to run the generator. All of the loud noise coming from the generator doesn’t come from the motor and the moving parts; there can also be noise coming from the vibration of the generator. Place the generator on top of a thick piece of sound absorbing mat so the vibrations can be absorbed and hopefully bring the noise level down a couple of notches. A sound absorbing mat is what I used to make my pool pump run much quieter compared to when it was sitting on top of a cement block. You can find all the information as to what I did to reduce pool pump noise by clicking the link. If you’re stuck with an older generator that sounds a lot louder than it used to then you might have a faulty muffler. Bring your generator to a small engine mechanic to see if you need to change the muffler. There might also be something wrong with the engine itself making the generator louder than it should be when properly working. If you only have a cheap generator, then this might not be worth the money. But some generators can be worth thousands of dollars and having a few parts replaced might be the best idea to fix this particular problem. I’ve mentioned different types of silencers before, and some do work as described. So I did a bit of digging and tried to find the same type of silencer that would be specifically made for portable generators. There a few on Amazon that I saw other people recommending online but from what I read in the review section of the product on Amazon, I won’t even mention that piece of junk! There are a couple of generator silencers that I did find that might help to mediate some of the noise. The Silencer that I will talk about is from GenSilencer. GenSilencer makes generator silencers for a wide range of generator sizes and brands. I could link an Amazon link, but it’s much better if you go directly on their website and find the silencer that will perfectly fit your generator. The silencers from Gensilencer are easy to install and have a matt black finish. A good reason to go with these silencers is that they provide a 1-year warranty and a 30-day money back guaranty. If you don’t hear any difference before and after installation, you can send it back! My best advice would be to buy the quietest generator you can find if the noise level will be your primary concern. Trying to figure out how to solve a noise problem that could have been avoided seems a bit pointless. It is true however that the quietest generators are the new types of inverter generators. Inverter generators are pricier compared to a conventional portable generator. If you need a quiet generator for camping I would suggest the Honda EU2000i. This generator is rated the best small portable generator out there according to Amazon. 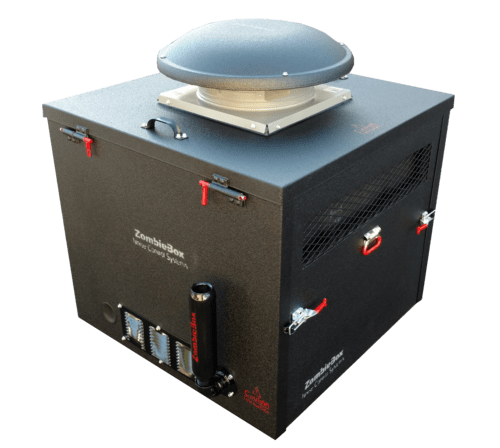 The Pros are that it runs extremely quiet; that is probably the main reason you’re reading this article. It only weighs 46 pounds when empty, making it easy to move around a campsite. Honda’s EU2000i generators also have excellent performance as it will run for approximately 8 hours on 1 gallon of fuel, meaning you won’t have to stock a lot of gasoline in the RV. The only con I would have to say about the Honda EU2000i is the fact that it only offers 2,000 watts. Let me know in the comment section if you tried any of these 10 tips to make a generator quieter.